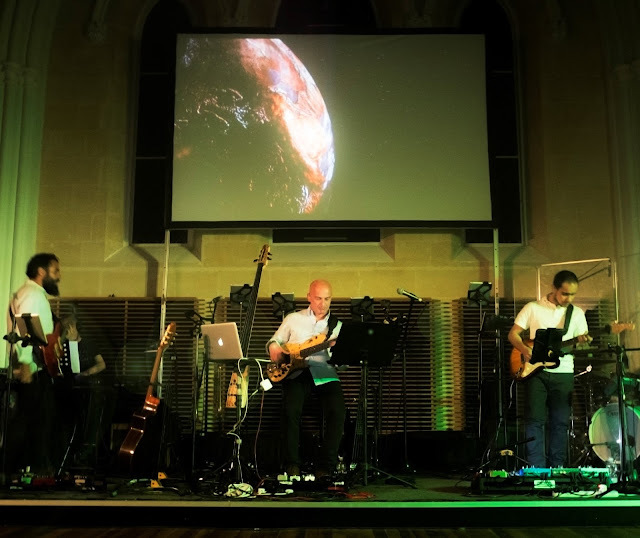 The group presents a rock infused sound that is frenetic, yet imbued with purpose. 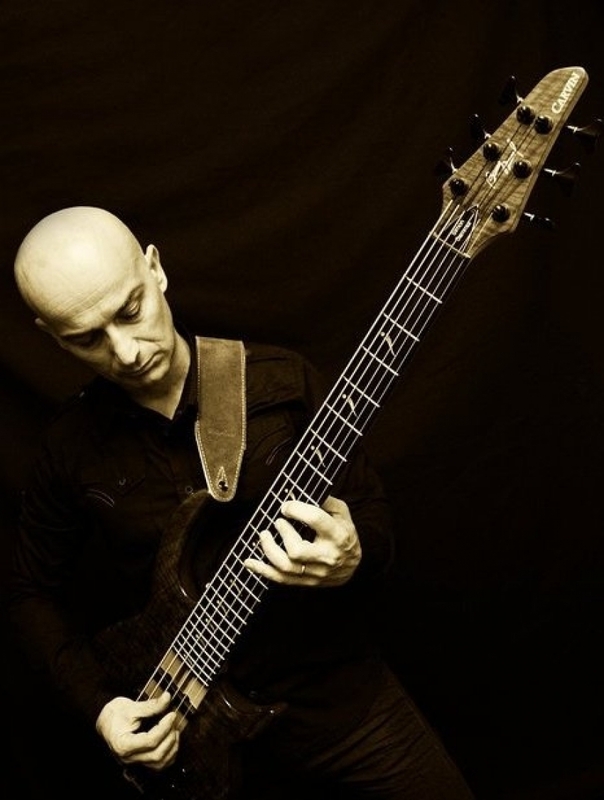 The searing lines of guitarist Marc Galea, fused in a tightly linked groove with Simon’s bass is elevated to a level of enlightened intellectual stature. Each musician clearly connected and creating for the higher good. 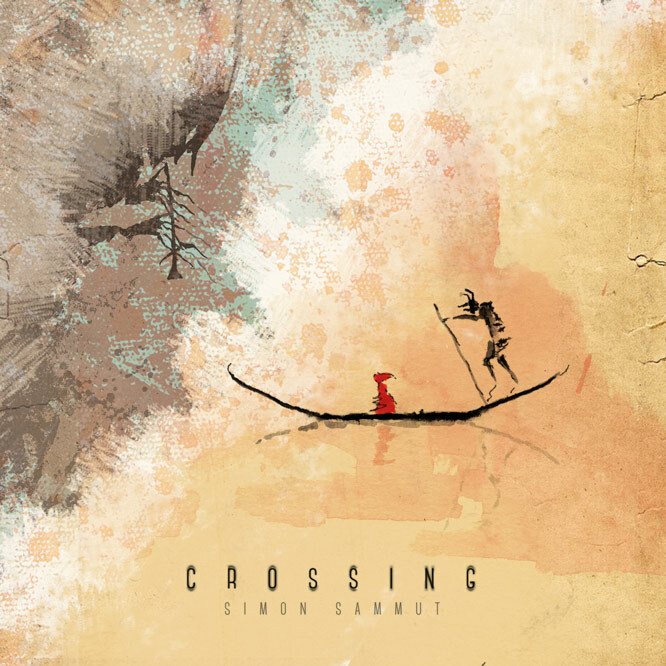 Sammut’s robust melodic playing and writing captures this emotion with emphasis on the importance of bravery, especially when crossing boundaries, despite all odds. 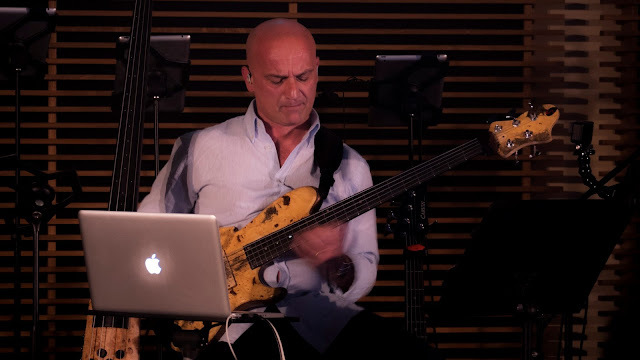 Sammut’s bass solo is melodic and his unique use of chords and double stops is consummate in his playing style. Simon started his initial studies at a young age and reached advanced levels of music education. After studying piano for a number of years, he started playing electric bass at the age of thirteen. He became captivated by the sound of legendary bass players as James Jamerson, Jaco Pastorius, Francis Rocco Prestia of Tower of Power, Verdine White of Earth Wind & Fire and Larry Graham. 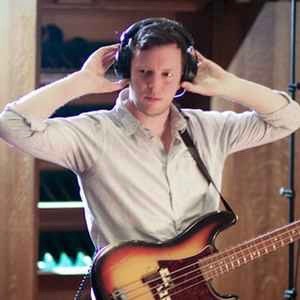 After some lessons with his father Joseph, who himself was an established bass player during his young days, Simon continued to study bass playing and soon established himself as a popular bass player. At the age of 15, Simon joined his first rock band "Hangover". He quickly moved from playing rock to blues, soul, funk and jazz. Later on he began to play the upright bass. As a performer, he has played with leading musicians and covering a wide span of musical activities. 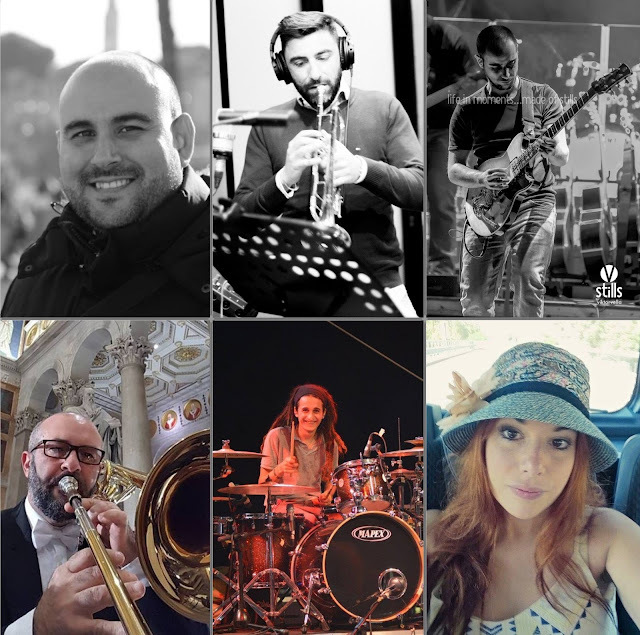 As he is a fluent reader and a versatile musician with an eclectic taste, he is quite busy and has for quite some time now played with various, musicians, bands and orchestras. 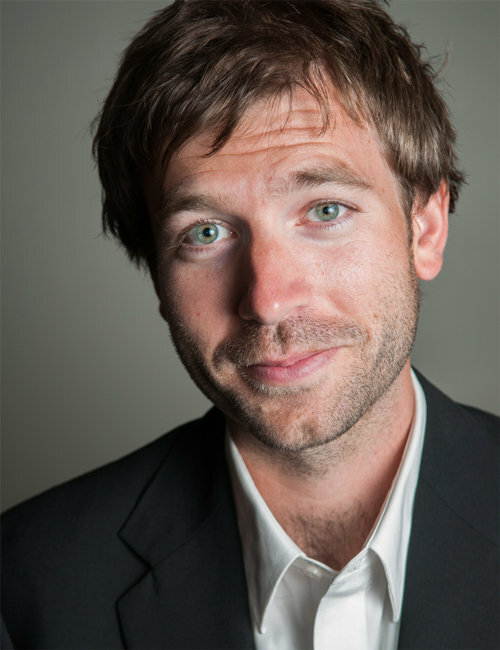 Besides his work as a performer, Simon is equally at home in the roles of composer, arranger, producer and music teacher. In 2011, Simon produced and released his new solo album entitled "BaSSic Attitude". 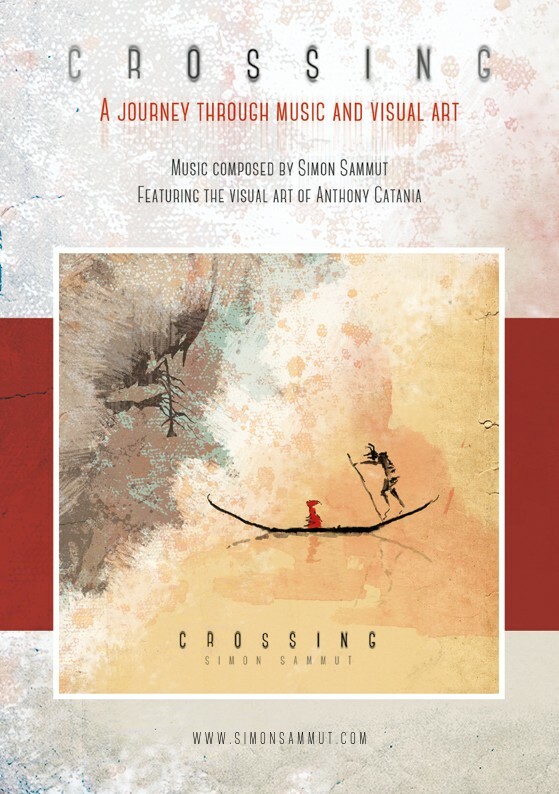 In this album Simon collaborated with multi-instrumentalist Alexander Kuzmin. The album had received very positive feedback. It has been described as "finely polished jewer of bass goodness". 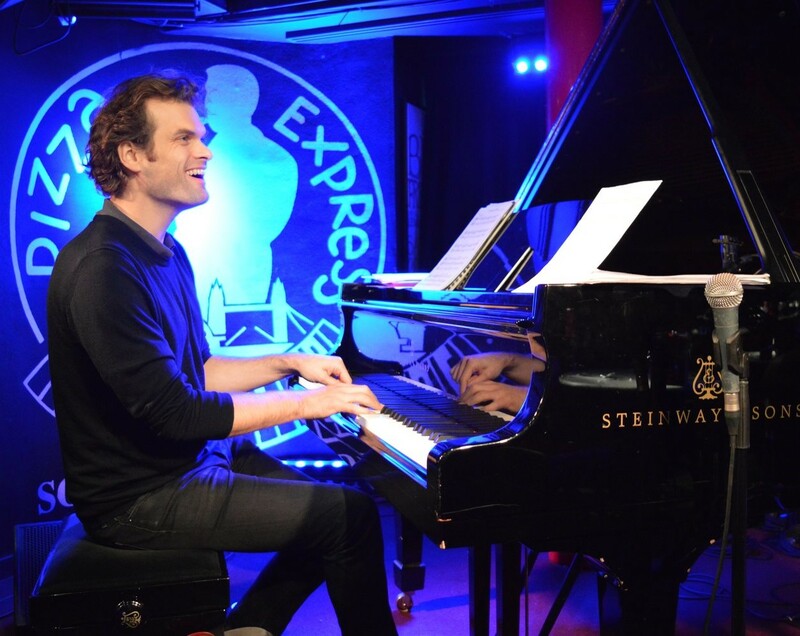 The album's eight instrumental tracks traverse Jazz, Soul, Funk and Pop, including the slow grooving ballad, "Recollection", the latin flavoured "Dos Hijas", the funky "Another Song" and the feel good "Second Avenue”. 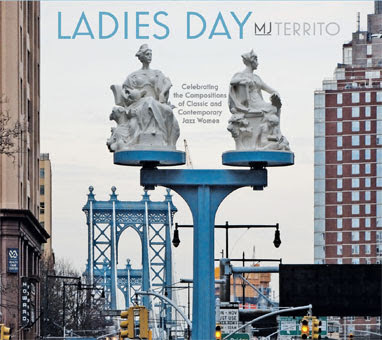 With her new CD, Ladies Day, singer/composer/lyricist MJ Territo shines a light on a rare collection of tunes by great writers who just happen to be women. Mary Lou Williams, Abbey Lincoln, Patricia Barber, Peggy Lee and Blossom Dearie are just some of the classic icons of jazz and cult favorites represented in this collection of lesser-known songs that definitely deserve to be heard more often. Territo found herself thinking: “Hmmm … how about getting together a group of women jazz musicians to play them? Wouldn't that be fun?” Pianist Linda Presgrave, who had released two CDs of compositions by women, immediately came to mind. “I knew Linda and I were on the same wavelength where women jazz composers were concerned,” MJ recalls. Impressed by bassist Iris Ornig’s album No Restrictions, the singer invited her on board. Rounding out the Ladies Day Quartet is drummer Barbara Merjan; MJ heard her at a club and recognized the sound she was looking for. In picking the 14 tunes for Ladies Day, MJ’s debut album, the singer didn’t take an easy route: The CD is full of challenging material. But not only does MJ Territo prove she’s up to the challenge, she sounds like she’s having a ball while she’s at it. “No Time for Snoozin’,” This Territo original features a piano intro that immediately engages the listener, as do the witty lyrics. “Everything is Moving Too Fast,” Check out the excellent solos by Ornig and Merjan on this Peggy Lee tune, along with the bluesy, bouncy vocal. 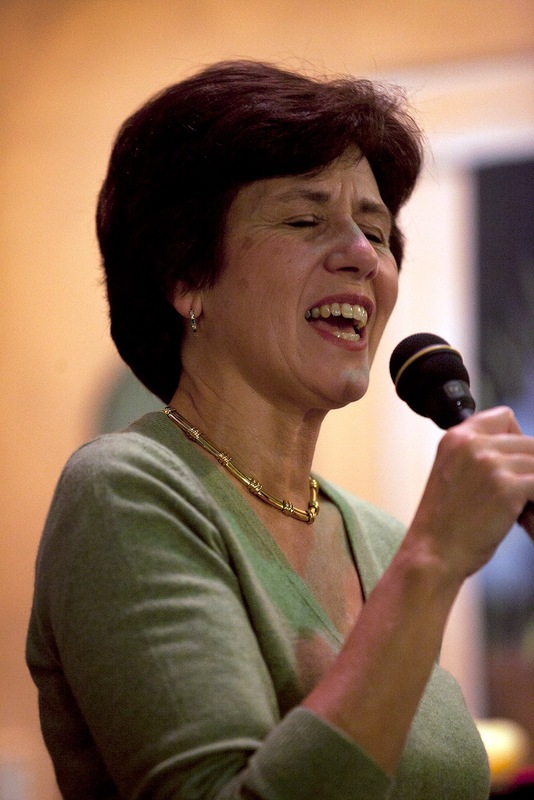 “Cuando Vuelva a Tu Lado” shares a melody with “What a Difference a Day Makes.” Territo sings the Spanish lyric with deep feeling, and also demonstrates her chops in the universal language of vocalese. “Strange Fascination,” by Mary Lou Williams and Ada Moore, one of Territo’s favorites, which she found in the Mary Lou Williams Archives at Rutgers. 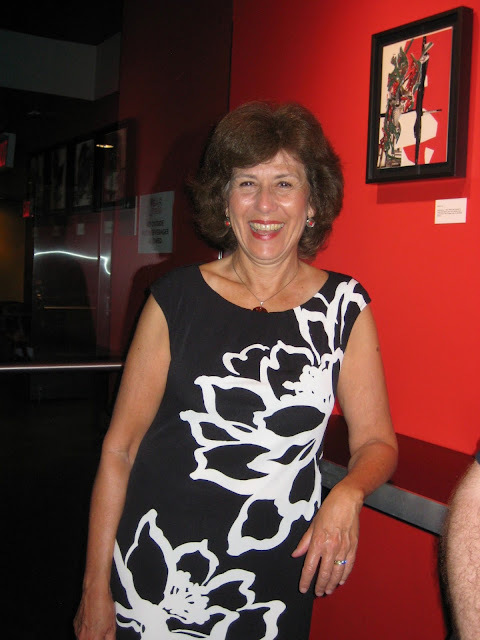 Tenor saxophonist Virginia Mayhew, who has released a Williams tribute CD, guests on this tune. Flutist Andrea Brachfeld is featured on Blossom Dearie’s piquantly amusing “I’m Shadowing You,” along with Territo’s flirty vocal. Harpist Brandee Younger appears on “True,” by Lorraine Feather and Dave Grusin, taking a sensitive approach on this lovely harp/vocal duet. The band’s repertoire has grown to more 50 songs by now, so with any luck, Ladies Day Volume 2 won’t be far behind! Let’s all keep our fingers crossed for an equally exciting follow up to this impressive debut recording. 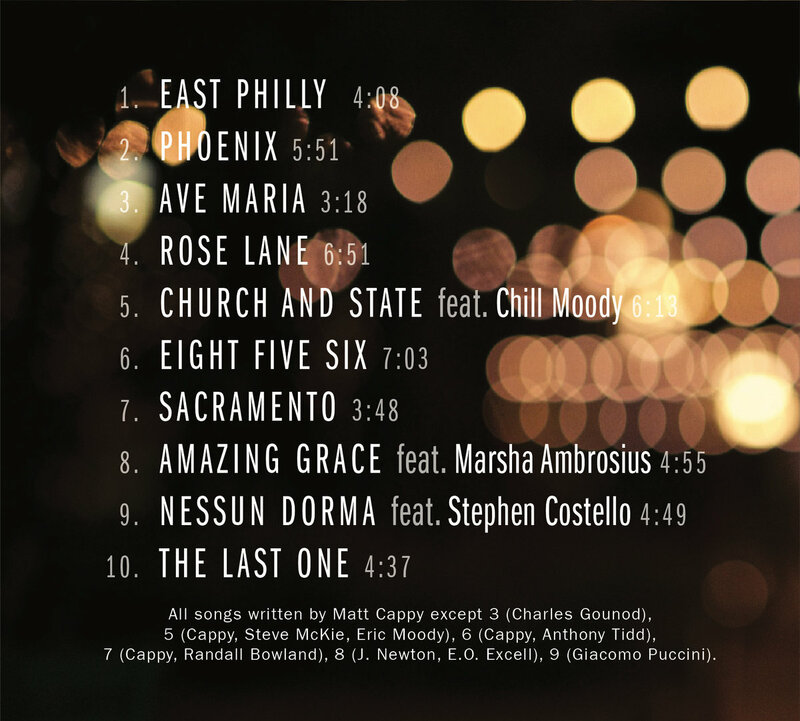 Based out of Colorado, Adam Bodine is a talented professional pianist and keyboardist. 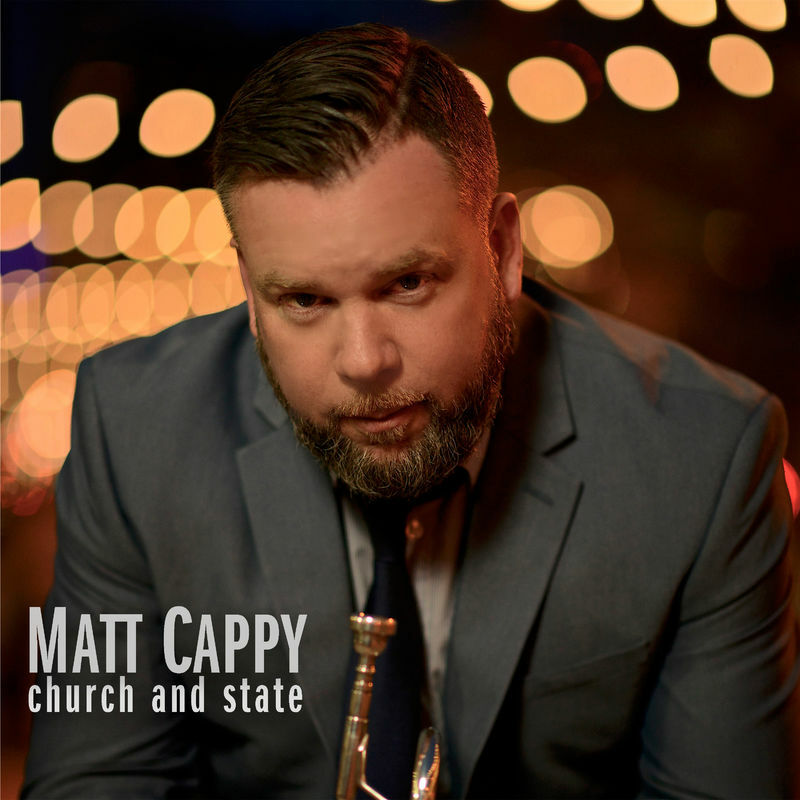 This soulful improviser, tasteful accompanist, evocative composer, diligent bandleader, prolific producer and charismatic performer joyfully excels in a variety of roles and situations. 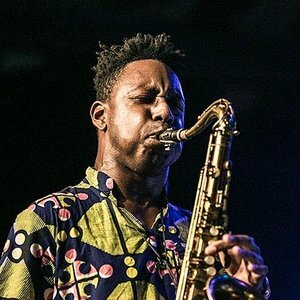 Although he is comfortable with generally being labeled a jazz musician, and certainly energetically revels in the aesthetic qualities and artistic freedoms intrinsic to many types of jazz music, Adam flourishes beyond the confines of categorization. An astute listener with refreshingly open sensibilities and outstanding chops, this creative keyboard wizard possesses remarkably versatile musical capabilities that can be masterfully stretched and expressed across a vast spectrum of styles and genres. Tearing it up on stage or laying it down in the studio, Adam is a very active and in demand keyboardist who works exceptionally well with others. In just a handful of years, Bodine’s booming career has embraced the pleasure of playing thousands of performances with several hundred bands and musicians. He’s performed at a vast array of the nation’s top venues and festivals alongside some of the best in the biz. A super busy dude especially throughout Colorado’s diverse and happenin’ music scene, Adam averages over two hundred gigs a year with a fluctuation of over thirty different groups. He is also frequently recruited to travel and perform around the country. 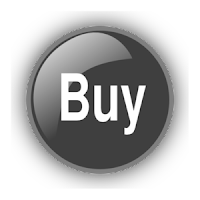 A very experienced, efficient and sought after studio session musician as well, Bodine is regularly hired to collaborate on all sorts of artists’ albums and recordings. He also accompanies choirs and various kinds of theatrical productions including plays, musicals and even silent films. One of Bodine’s most beloved and ever evolving music outlets is his trio. 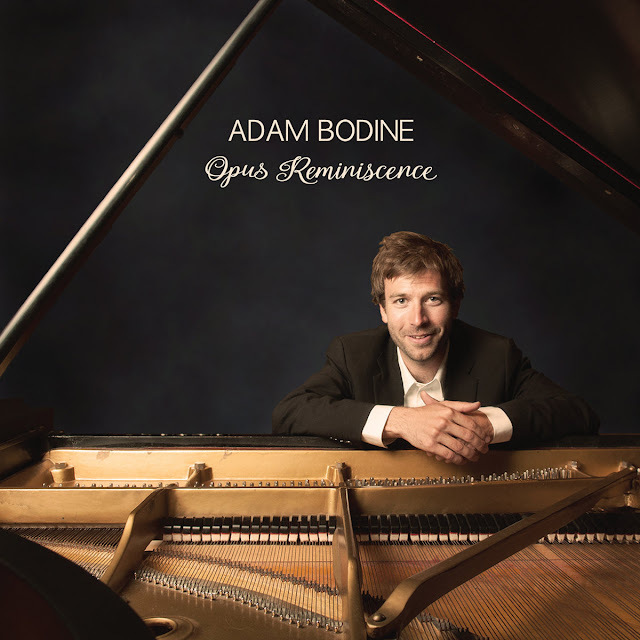 A standard jazz piano trio format complemented by bass and drums, the Adam Bodine Trio is an entertaining and dynamic band which, in addition to compelling interpretations of various pop and rock tunes, often showcases its exuberant bandleader’s original instrumental compositions. Adam’s song catalog is extensive, eclectic and it embodies an optimum framework for his spirited, funky, imaginative, and often humorous musical personality to shine. As a music educator, Adam enjoys connecting and working with students and music lovers of all ages and skill levels. He helps out at various public and private schools throughout the Colorado area, as well as participates in an assortment of workshops and camps. Bodine also provides private music lessons. Not limited to only piano players, Adam is open to working with just about anybody who’s interested in playing just about anything. His approach and philosophy towards teaching is inspired in part by his teacher, mentor and friend, and world renowned pianist, composer and educator, Art Lande. Guided and motivated first and foremost by the interests and curiosities of each individual student, every lesson is a uniquely specialized and cooperative process of exploration and discovery. So this is what happens when a group of old jazz hands get into a Levon Helm kind of way. Hudson is the name of an album, a supergroup and a song on the album by the supergroup, and it’s due out June 9, 2017 from Motéma Music. 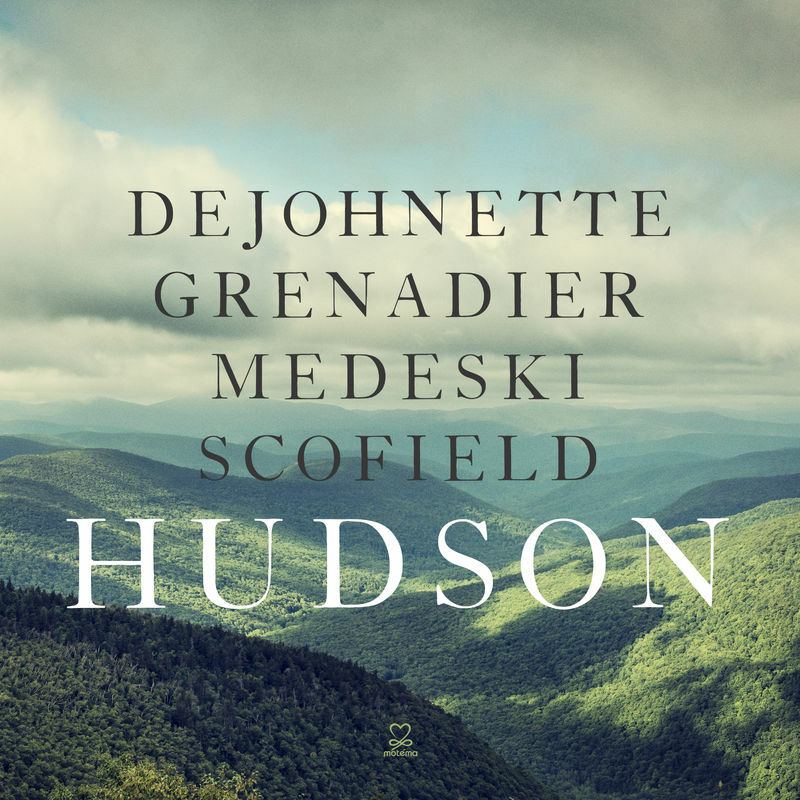 The combination of Jack DeJohnette, John Scofield, John Medeski and Larry Grenadier is capable of so much; Hudson delivers in that it doesn’t kowtow to expectations of what kind of music these four legends should make. ‘Hudson’ is not a name that came about without much meaning; the Hudson Valley region of upstate New York is the land of the 1969 Woodstock Music Festival, Pete Seeger’s Clearwater movement and more artists per capita than any other place in the USA. NYC artists have found much refuge in the peaceful, natural scenery away from the hustle and bustle of the Big Apple. DeJohnette, Scofield, Medeski and Grenadier have all eventually made homes here and have all performed with each of the others. 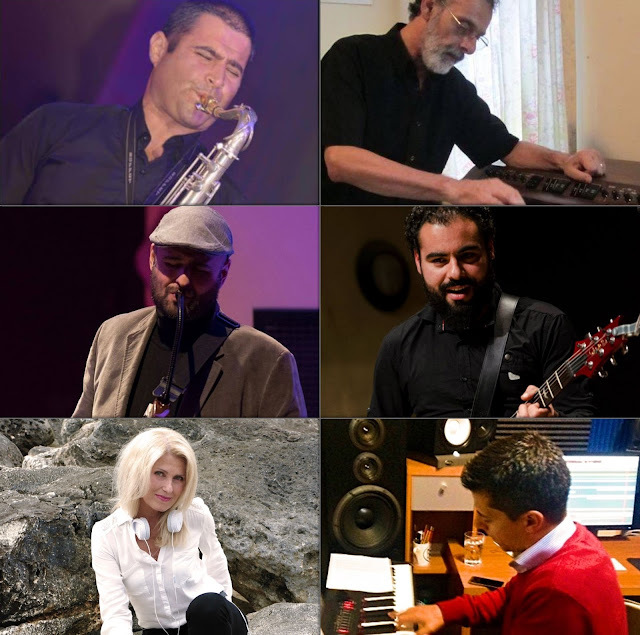 A 2014 concert together at the Woodstock Jazz Festival was all it took to provoke them to combine to make music that has a strong connection to not only where they came from, but to where they now make their homes. The careers of these four follow timelines that only partially overlap each other but the common denominator among them is not just that they are jazz musicians, but musicians and fans of more popular forms of music before they turned to jazz, such as rock, RnB, folk and funk. This is a record of relating to the music they dug growing up as much as it’s about their current environs. All have collectively made plenty of records that indulge their fondness for the music of their youths; Scofield were in such bands at separate times with DeJohnette and Medeski, for instance. But the thing about old jazz hands like these guys is that they have gotten over themselves so long ago; making the musicians around them sound better is ingrained in them and it’s this colloquial manner of making music that makes the whole greater than the great parts. Here, ‘laid back’ is the dominant music style, and the hippie attitude pervades the album so much that the formal styles played are nearly superfluous. 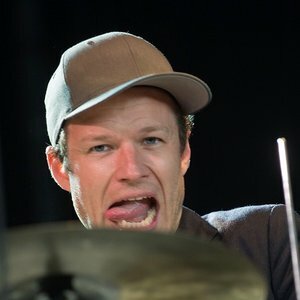 The song of the same name as the album and the band, creeps along on a single chord, taking its own sweet time as Sco noodles away angularly, occasionally sharing growls and grunts with Medeski’s keyboards over a jam-length twelve minutes. That opening salvo that the four created together is a rock song, but it’s DeJohnette’s masterful swing that sets Scofield’s “El Swing” into motion, signaling that jazz isn’t being ignored, just eased up to matching the rural surroundings where this record was recorded. Medeski’s piano solo is a real gem on this cut. 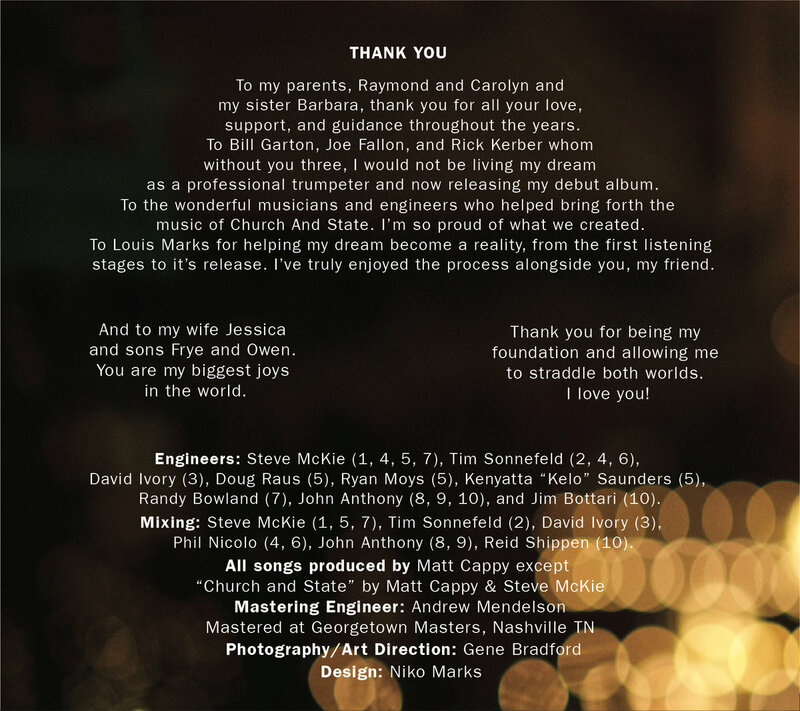 “Tony Then Jack” is Scofield’s concise history of fusion drums (from Williams to DeJohnette) culled from the Lifetime-inspired group Trio Beyond he co-led with the latter drummer. This isn’t blistering rock-jazz but DeJohnette does live up to his legacy with another swing number, this time harder and Grenadier’s walking bass holds down this blues with an authoritative hand. “Dirty Ground,” originally appearing on DeJohnette’s 2012 Sound Travels, was a tune he co-composed with Bruce Hornsby but this time Jack is stepping up to the mic to handle the vocals in his salt-of-the-earth vocals that’s perfect for the occasion. Moreover, it invokes the spirit of the aforementioned Helm. The covers chosen all relate in some way to the sacred ground near the Catskills; Bob Dylan’s “Lay Lady Lay” is set to a relaxed, reggae groove and fronted appealingly by Scofield’s lyric lead. Another Dylan number “A Hard Rain’s A-Gonna Fall” is another jam, whereby the boys test dissonance, mostly around Medeski’s swirling B3 and a psychedelic electric piano. Joni Mitchell’s “Woodstock” — the most obvious choice for this setting — is a spiritual communion. Jim Hendrix’s “Wait Until Tomorrow” is a funky excursion that isn’t that far removed from Medeski Scofield Martin and Wood. Medeski’s barroom piano intro gives little hint of the Band’s “Up On Cripple Creek” that soon follows, which is played in a mostly straightforward fashion. The back-to-nature sentiment that’s threaded throughout this album is strongest right at the end with “Great Spirit Peace Chant,” where the crew play wood flutes amid hand drums and Native American chants. The Hudson River Valley is not just a place, it’s a state of mind that’s carried out so earnestly and effortlessly in music by Dejohnette, Grenadier, Medeski and Scofield. 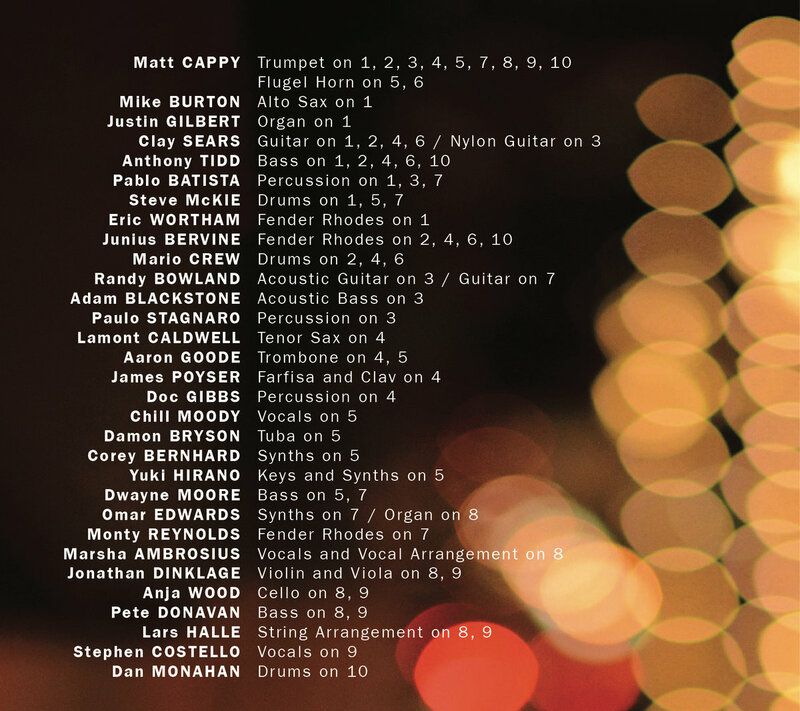 With Andrew’s latest project, Graviton, he has assembled an A-List of the most sought-after musicians in the modern jazz world, all of whom bring something special to the mix. 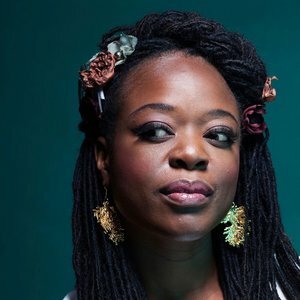 ESKA, Mercury prize nominee, joins the band on vocals. Sons of Kemet’s sax sensation Shabaka Hutchings and Jacob Collier’s electric bass supremo Robin Mullarkey are a stellar addition. In keeping with this extraordinary line-up, Scandinavia’s Anton Eger, of Phronesis fame, is the driving force on drums. 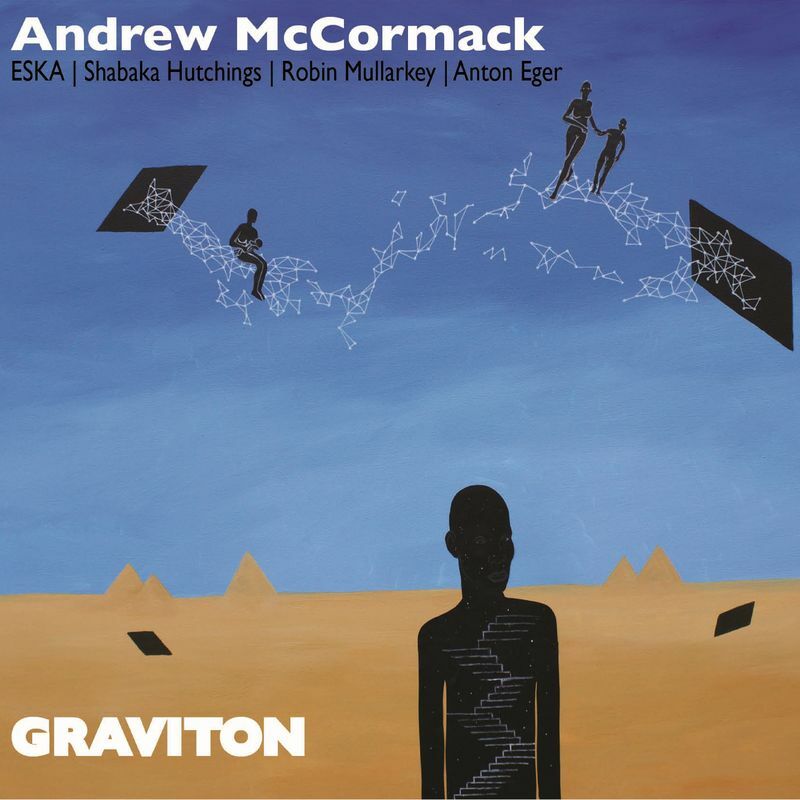 Graviton--the upcoming album on JazzVillage--and the 2017 tour, will take Andrew’s career to a newly defined musical space...and one that audiences will remember.